There are 1.6 million accidents each year due to cell phone use behind the wheel. 263 teenagers aged 15 through 19 were killed because of distracted driving in 2016. According to the NHTSA, approximately 660,000 drivers use an electronic device behind the wheel every day. People love technology. One of the latest gadgets that people can be seen sporting isn’t attached to their ear, but they wear it on their wrist. Yes, you guessed it, the “smartwatch” Once Apple released their now wildly popular iWatch, technology lovers, particularly those fond of Apple’s line of products, raced to be the first to purchase one. Smartwatches of all types have become more popular as they have become more affordable. It is a safe bet that you probably have at least one friend that wears a smartwatch. At first glance, the smartwatch seems like a hands-free device. Look again. You can hear notifications no matter where your wrist is located, but you can’t see the notifications unless you move your hand to within view. Attempting to look at or use the watch while driving is a bad idea because it can take your hand(s) off the wheel and it takes focus away from the road. Simply put, don’t try to operate your smartwatch while you are engaged in driving! A UK-based road safety group, the Institute of Advanced Motorists (IAM), is telling consumers and drivers alike that smartwatches are potentially more distracting than smartphones and other mobile devices. While those who do not wish to be distracted while they drive can tuck a mobile device into a pocket, bag or even cup holder, the watch is generally worn at all times. A vibrating or sounding alert or flashing light can be irresistible for some. While most states do not currently have laws specifically prohibiting the use of smartwatches while driving, they do have laws regarding distracted driving. These laws may not specifically mention smartwatches, but they do give law enforcement officers discretion in determining if a driver broke the law or caused a car accident in North Carolina as the result of paying more attention to their smart device than the road. It is illegal in North Carolina for any driver to text while operating their vehicle. New drivers (novice drivers), or those under 18, are prohibited from using their cell phones at all. Adult drivers are permitted to talk on their cell phones while driving. There are nuances to the texting ban that people should understand. Texting includes composing, reading or sending any type of electronic communication, and it’s considered a primary offense. This means that a police officer can pull you over if they see you texting and driving, even if you haven’t committed another infraction. Drivers are permitted to text while they are stopped at an intersection or parked. Bus drivers are not permitted to use cell phones behind the wheel in any manner. Distracted driving, including cell phone use behind the wheel, took the lives of nearly 3,500 people in 2016, according to the NHTSA. It has been discovered that 1 out of every 4 vehicle collisions in the United States is caused by texting and driving. You are six times more likely to cause an accident if you are texting while driving than if you are impaired while driving. It is estimated that it takes approximately five seconds to read a text that you receive. If you are traveling at highway speeds and check a text, you can easily cover the length of a football field without looking. When you take that into consideration, it’s easy to see just how dangerous the behavior really is. When it comes to teenagers, the problem may be compounded. 35 percent of teenage drivers admit to texting and driving, despite knowing that it is dangerous. 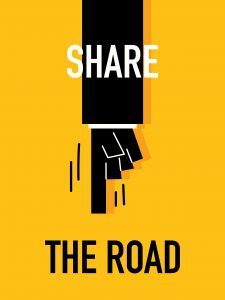 A teenager is four times as likely as an adult to be involved in or cause an accident because they were using their mobile device behind the wheel. In fact, 21 percent of teenage drivers who were involved in fatal car accidents were distracted by their mobile devices at the time of their accident. When a driver in North Carolina is cited for texting behind the wheel, they are subject to a $100 fine if they are found guilty of the infraction. Novice drivers are subject to a $25 fine for using their mobile device while operating their vehicle. Despite laws not being on the books banning the behavior, drivers are urged to unstrap their smartwatches or turn their notifications off while they are driving. Like any other reason that so many people give, checking a smartwatch isn’t worth the damage to person and property that can be caused. Only you know yourself well enough to know whether or not you can avoid the temptation of your smartwatch while you are driving. If you don’t believe you can, take it off and put it back on when you arrive at your destination. If you or a loved one has been injured in a car accident in Charlotte or elsewhere in the Carolinas, call our office. A member of our team will help you set up an appointment for a no cost case evaluation. We will let you know what we think and tell you how we may be able to help you. Don’t hesitate to see how we can help! David Belisle was killed in a motorcycle accident near Fort Mill, SC on July 21, 2018. The incident happened around 10:00 p.m. on S.C. 160 near the intersection with Sleepy Hollow Road. A 19-year-old Fort Mill man driving a 2015 Nissan sedan west turned left towards a private driveway and collided with the motorcycle that was heading east. WBTV reports that the deceased, Mr. David Belisle was riding a 2014 Harley Davidson and SC Highway Patrol report that he was wearing a helmet. As of the date of this post no charges had been filed and toxicology reports are still pending. Accidents and injuries related to motorcycle accidents are all too common, especially this time of the year when the weather is warm and many people are riding. According to the National Highway Traffic Safety Administration, more than 4,956 motorcyclists were killed in 2015 alone. Many of these accidents involved both automobiles and motorcycles and additionally these accidents were caused by many different factors including alcohol, poor driving conditions and negligence on the part of drivers and riders. Every accident that happens on the road is a very serious occurrence that must be evaluated for its cause as it relates to the possible prevention for future accidents. At this time it is too early to speculate as to the cause(s) of the above-listed accident. Law enforcement officials will continue to investigate and announce their findings after the investigation has concluded. Our law firm assists people that have been injured in accidents involving motorcycles and various types of motor vehicles including cars, trucks and commercial vehicles like tractor trailers. We are consistently working on these cases and we work hard to protect the rights of our clients. Our injury law firm is dedicated to helping people that have been injured because of someone else’s negligence. It never costs a thing to speak to one of our team members and our case evaluations can be done in person or on the phone. If you or anyone you know has been injured in a car accident or a wreck and needs help, please call our office at 855-971-0559. We are here to help. No matter where you live in the United States, ticks are out and about. Some states are experiencing record numbers of these tiny invaders. What used to be enjoyable walks in nature years ago are now wrought with worry about tick bites and Lyme disease. Ticks are so prevalent this year that some people avoid participating in outdoor activities altogether. Lyme disease is certainly not something anyone wants to deal with. Despite this, not many people know any more than “I don’t want it.” Unless you look for information, discovering the truth about ticks and the diseases they carry can be difficult. Here is what you need to know to protect both you and your pets this summer season. If there is any good news about ticks, it’s that they don’t fly. Ticks live in grassy areas and wait for their prey to wander by. When a human or animal walks by, it jumps aboard and hitches a ride hoping to get a free meal. The tick you are likely most worried about is the blacklegged tick. This little insect carries and spreads Lyme disease throughout the United States. In most cases of Lyme disease, the culprit will attach itself during its nymph stage because at this stage they are more difficult to locate and remove. Nymphs are the second stage of a tick’s lifecycle, and they are extremely small during this stage. In order for Lyme disease to be transmitted, a tick needs to bite its host. The tick must remain attached from between 36 and 48 hours for the disease to be passed along. It’s important to note that not all ticks carry Lyme disease. In order for a person to be infected, the tick that has been attached must be a carrier. You cannot get Lyme disease from a dog or cat. You won’t get it from another person through any type of typical contact. You cannot transmit Lyme disease to an infant through breast milk. The first step in recognizing that you may have Lyme disease is knowing that you’ve been bitten by a tick. You may have a tick attached and never know. Once it has finished its meal, it will drop off your body, never to be seen again. A tick bite typically appears as a red spot on the skin. You may experience itching or burning and may have some localized pain. If you are allergic to tick saliva, you may develop a rash, swelling, shortness of breath or stiffness. In some cases, a person develops no telltale signs and has no idea they’ve been bitten. Once you know you’ve been bitten, be on the lookout for the symptoms of Lyme disease. You may develop a bull’s-eye rash at the site of the bite. It will be round or oval with a dark center and a halo around the bite. The earliest symptoms of Lyme disease mimic the common flu. You may feel tired despite not having been overly active. You may discover that you need to sleep more in order to feel rested. In more severe cases of Lyme disease, your fatigue may interfere with your daily life. Early symptoms of Lyme disease also include stiff, swollen joints. It may hurt to bend your elbows. You could experience more pain than usual in your knees when you take a walk. Studies indicate that approximately 80% of people with untreated Lyme disease have joint symptoms. About half of all those infected with Lyme disease experience symptoms typically associated with the flu in the first week of their infection. Headaches, dizziness and fever are not uncommon. Different sleep disturbances are typical with Lyme disease. You may experience night sweats or chills when you are trying to sleep. Changes in your ability to concentrate can be a symptom of Lyme disease. You may become confused easily or forget what you were doing. This can be one of the more frightening symptoms of the disease. In 2016, there were 4,464 accidents involving semi trucks in North Carolina. There were 1,821 accidents involving trucks with three or more axles. There were 62 fatalities resulting from accidents with semi trucks. It’s not unusual to see the remnants of a big rig’s tires when you’re driving down the highway. Rubber scattered alongside the shoulder of the road is something many of us look at quickly and then don’t think about again. But what if that rubber wasn’t the result of a blowout? It could have been debris left behind after a very serious collision. When a semi truck and a smaller vehicle collide with one another, the results can be catastrophic. A large commercial vehicle has much more power than a smaller truck or car. The majority of the damage is often suffered by the small vehicle and its occupants. 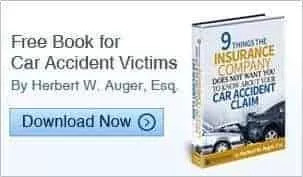 In the aftermath of the accident, the victims often find that they are facing life-changing physical, emotional and financial damages. Accidents such as these often require the expertise of a Charlotte truck accident attorney. A legal professional can help to ensure the rights of the victims are protected. If you hope to recover damages after such an accident, an experienced attorney is essential. Many people assume it’s always a driver who is held liable in an accident but this isn’t the case. There are several parties who may be held liable in a truck accident, either on their own or in combination. If the driver of the semi-truck was negligent or made some type of error, they can be held liable. A driver may be shown to have been fatigued, distracted or impaired. The driver may not have received adequate training or loaded their trailer in an inappropriate manner. When it can be proven that the truck driver was negligent, they can be held financially responsible for property damage and injury to the victim. In some cases, the driver and owner of the semi-truck are two different people. An owner may be held liable for a semi-truck accident in some cases. For example, if the owner was responsible for routine maintenance and failed to ensure it was performed and a component of the truck was defective, the owner could be held liable if that defective component led to the accident. It’s not unheard of for companies to lease the semi-trucks in their fleet. When this is the case, it is the responsibility of the person leasing the vehicles to make sure the trucks are safe to operate. If the leasing company is found to be negligent in their duties, they could potentially be held liable for the accident or at least named in the lawsuit. A North Carolina truck accident lawyer may find that the reason for the accident lies in a vehicle that was not safe. When the truck was not manufactured properly or a defect was known but not reported, the manufacturer of the vehicle could also be named in the lawsuit as a responsible party. Again, in some accidents there may be more than one party responsible for causing the accident. The owner of the truck or trucking company will almost always be initially named in the lawsuit. Current federal regulations say that trucks must have a placard attached that names the owner. The person named on that placard will almost always involved in any investigation regarding their vehicle. If you or a loved one are injured in a tractor trailer or “big rig “accident in Charlotte, you may be entitled to damages if the accident was not your fault. You can recover money spent on the repair or replacement of your property and for any medical bills you have incurred. You may also be awarded monies for future medical bills and lost wages and pain and suffering. In the case of a fatality, the representative of the deceased person’s estate may be able to file a wrongful death lawsuit against the responsible parties. These accidents are often catastrophic in nature and the injuries sustained may require lifelong care. We don’t believe that any family should be forced to make difficult financial decisions because of someone’s negligence or error. We understand that the days, weeks and months following a semi truck accident in Charlotte can be devastating. We invite you to call our office if you have been involved in such an accident. We will review the details of your accident at no cost to you and explain how we may be able to help. Our team is here for you as you work to put your life back together. We can help you determine your best steps in recovering what you have lost. Reach out to our Carolina truck accident lawyers today for the assistance you need.